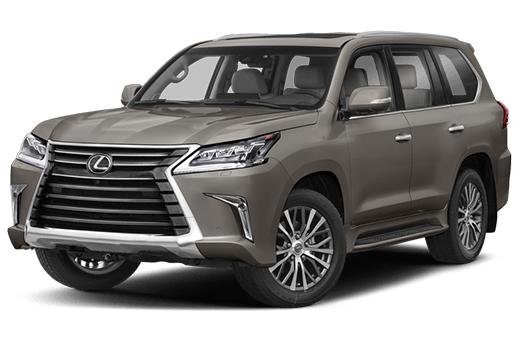 Disclaimer: * Limited time purchase financing offer provided through Lexus Financial Services on approved credit on new retail sales of 2019 LX 570 models. Finance example based upon MSRP of $110,300 financed at 4.9% APR equals $2,076 per month for 60 months with $0 down payment or equivalent trade-in. Cost of borrowing is $14,287 for a total obligation of $124,587. Taxes, Freight & PDI of $2,075 Air Conditioning Charge of $100 (where applicable), license, insurance, registration and applicable duties, levies and fees are extra. Individual Lexus Dealers may charge additional fees. Dealer may sell for less. Time limited offer at participating dealer. Offer subject to change/cancellation without notice. For all offers, quantities of vehicles may be limited and Dealer order/trade may be required, may be limited and will vary by model. All offers are effective from February 1st, 2019 to February 28th, 2019 and are subject to change/cancellation without notice.